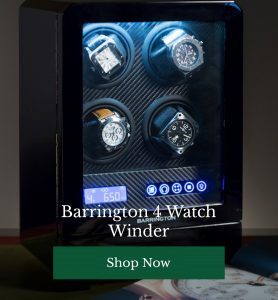 We might specialise in fine watchwinders which hark back to a more traditional time-keeping era, but we have all the time in the world for the latest in wristwear, especially when its as smart, sleek and technologically sophisticated as the Apple Watch. 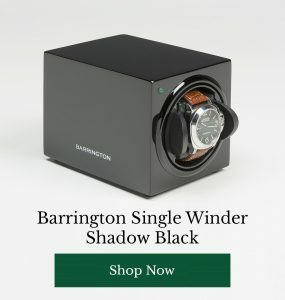 When your traditional wrist candy is safely stashed in your watchwinder, a great looking gadget like the Apple Watch can replace old-school beauty and charming mechanics with impressive features and clever applications. But just because the Apple Watch is high tech and functional, doesn’t mean it can’t be beautiful and reflect your personal style just like a traditional timepiece. In fact, the customisability of these smart pieces of wrist candy make it possible to “curate” a look and feel that’s all your own. 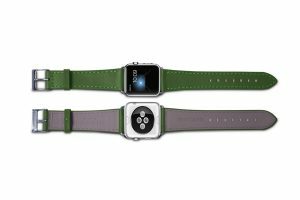 To help you achieve this, we’ve rounded up four of our favourite luxury straps and bands for your Apple Watch. 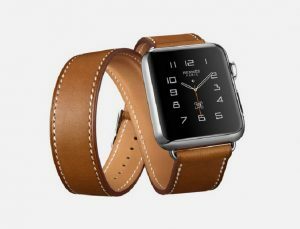 The ongoing collaboration between Hermès and Apple has resulted in some extremely good-looking Apple Watch straps which we can’t wait to get our mitts on. We’re especially keen on their new 2017 double tour leather strap which wraps pleasingly twice around the wrist giving a looser, more organic edge to this tech-heavy piece of wristwear. Available in three different leather shades, this tough yet polished looked leather Lowry band from Pad & Quill again adds a natural flavour to your space age tech. Featuring rugged stitching, this full grain vegetable-tanned leather looks damn good on any man’s wrist. 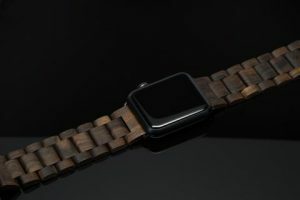 Give your Apple Watch an eco-friendly update with this wooden strap from Lux Woods. Hewn from responsibly sourced Chanate wood, this eye-catching and unusual option blends natural materials with clean, contemporary styling. For a truly individual finish to your Apple Watch, Swiss brand Lucrin’s Elegance band is a great pick. 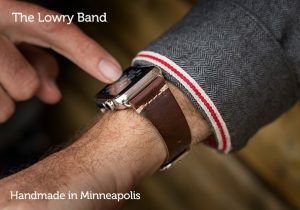 Choose your leather, choose your size, chose your thread and create your ultimate piece of high tech wristwear. We’ll take one in every colour, please. Do you own an Apple Watch? How often do you wear it compared to a more traditional timepiece? Have your say and discuss your favourite features with other readers below.